V.A. - "Rock Meets Classic"
Rock Meets Classic – This is the link between two musical worlds. The ecstasis of rock music blends with the symphonic power of classical music and delightfully breaks down the borders between U- and E-music with a great gesture. But Rock Meets Classic is also a piece of music history. The stars of the tour are considered like a “who is who” of Rock’n’Roll. Their songs like “Smoke On The Water”, “Poison”, Eye Of The Tiger” or “Whatever You Want” turned to real Classics and belong in every CD rack. 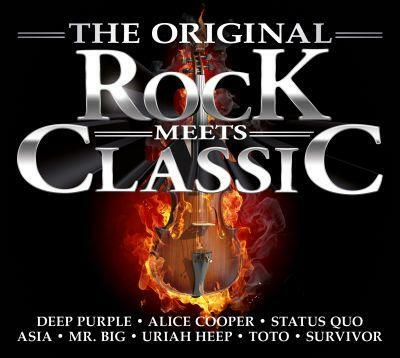 With the album “Rock Meets Classic”, the original songs to the eponymous tour will be first released as a joint double CD on the 31.10. via Sony.